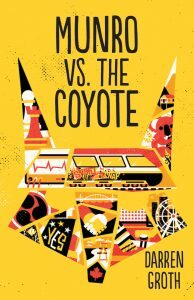 Munro vs. the Coyote: Since the sudden death of his younger sister, Evie, sixteen-year-old Munro Maddux has been having flashbacks and anger-management issues. He has a constant ache in his right hand. 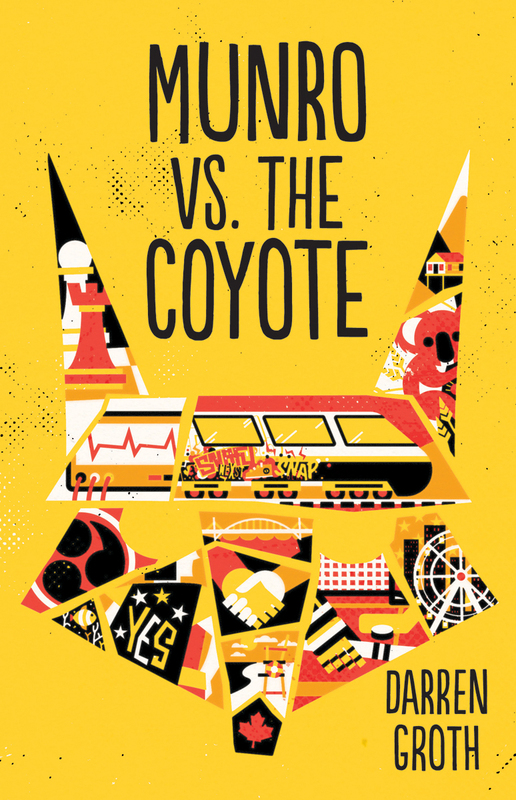 And there’s a taunting, barking, biting voice he calls “the Coyote.” Munro knows a six-month student exchange will not be the stuff of teenage dreams, but in Brisbane he intends to move beyond his troubled past. It is there, at an assisted living residence called Fair Go Community Village, that Munro discovers the Coyote can be silenced. Munro volunteers as a “Living Partner” and gets to know the team of residents he is assigned to. The burden Munro carries, however, is not so easily cast aside. When one of the team makes the decision to leave, the Coyote gets a new life. When a second resident is taken away, the specter of trauma and death looms larger than ever. What planning and research did you do for you book? My novels tend to involve a little bit of planning and a lot of discovery along the way. Research-wise, I learned plenty about heart problems, PTSD, assisted living organizations and communities, chess, the 2011 Brisbane floods and floor hockey, to name a few! Connecting with readers and sharing company with other writers. What’s your favorite movie or TV show? The show you binge watched the fastest? Movie: The Usual Suspects. TV show: Breaking Bad. I binge watched Stranger Things in a single week. Watching sports. All the sports. What do you admire most in a book? Transcendence, beauty, laughter, poignancy and a sweet rhythm to the prose. You’re stranded on a desert island and are allowed 3 books–which do you choose? I’m Not Scared, Love in the Time of Cholera and some critically-acclaimed guide to getting off a desert island. What’s your favorite genre to read? To Write? What draws you to it / these? Read: literary fiction, both YA and adult; Write: literary fiction, both YA and adult; the best of these draw me with all the admirable qualities I mentioned above. What has been your most unlikely adventure? Parenting a son on the autism spectrum. Munro vs. the Coyote is available now! Originally from Brisbane, Australia, Darren Groth now lives in Vancouver, British Columbia, with his Canadian wife and twins. 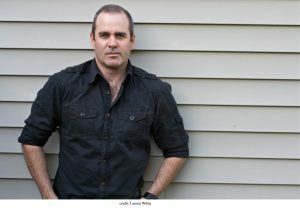 His books have been published on both sides of the Pacific and include his acclaimed YA novel Are You Seeing Me? Darren is a former special-education teacher and the proud father of a son with ASD. For more information, visit www.darrengroth.com.